A few years ago I had a life altering experience that changed my life forever. I was exposed to Toxic Black Mold in a previous home I lived in. Needless to say it’s been an uphill climb for my family and I, as we’ve struggled with our health and have recently moved and changed our current home to a “New” Natural Home. You can read my crazy story HERE and how I survived a near fatal experience. I’d love to talk about my natural home and one product in particular that I’ve replaced: soap. Through this 5-year journey, I’ve been excited about converting my home into a Natural Home. I’m constantly educating myself on the dangers of pollutants, molds, chemicals and the control of these “ugly monsters” in and around my home. One of the many products I had to convert in my “NEW” Natural Home was soap. In my past “toxic” home, I had every brand and type of body soap imaginable. I had some of the most toxic body washes, body scrubs and bar soaps on the market. 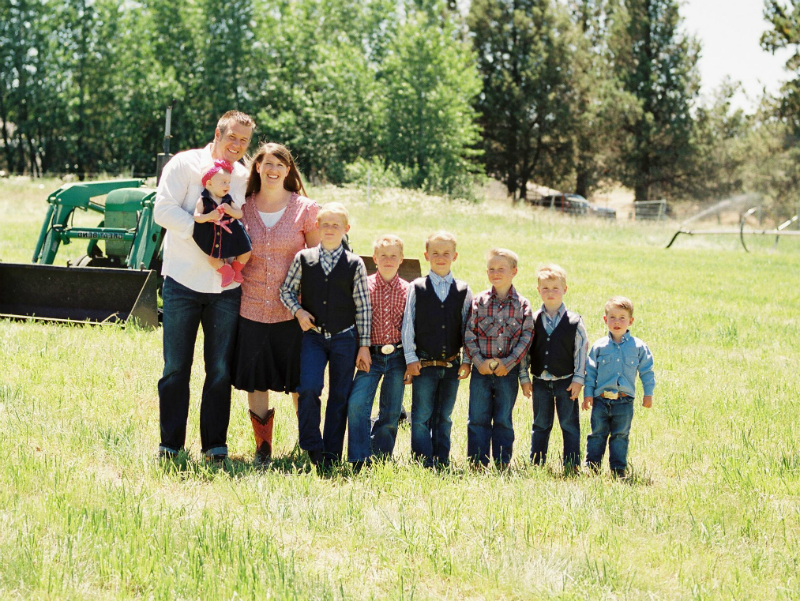 After we moved, I decided that anything from here on out that touched my family’s skin needed to be natural and toxin-free. 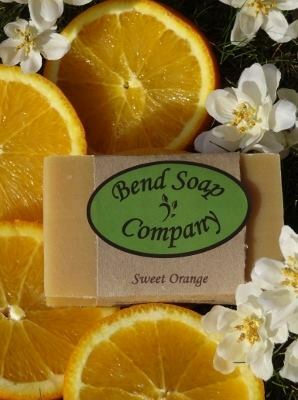 I am constantly looking for great, all-natural soaps and couldn’t wait to share my review and love of a very particular, all-natural bar soap — BendSoap. What makes BendSoap different than any other “goats-milk soap” is that they use fresh goat milk from their own goats that they milk twice a day throughout the year. Each bar of soap has over 26% fresh goat milk in it – making it a truly creamy moisturizing experience. This can be compared to other “goat milk soaps” that use only smaller amounts of goat milk powder, goat milk extract, or a pre-made goat milk base (which most likely used goat milk powder). I am personally drawn to the fact that they do not use any dyes, synthetic preservatives, alcohols, parabens, sodium lauryl sulfate, etc. No junk! If you shop “natural” or “organic” soaps in the stores, you’ll find many of them contain quite a few good ingredients, but often still include a bunch of the bad ones we want to avoid. In my collection here, I have both unscented and essential oil-scented soaps. I need to stick with the unscented and essential oil-scented varieties because of an extreme sensitivity to anything synthetic since our health crisis. These are 100% natural! Wahoo! They have sixteen different 100% all-natural scents to choose from – with their newest scent being “Sweet Orange” which was introduced just in time for Mother’s Day. I use the Milk Bath in a bag as it contains 100% all natural goat milk soaps. They shred the soap, which can be added a handful at a time to the bath for a luxurious soak from head to toe. This is especially beneficial to those with skin sensitivities and other topical issues that need extra nourishment. The Goat Milk unscented lotion was perfect!! It absorbed quickly into my skin and I noticed a softness in my skin even 12-24 hours after, so I can honestly say you’ll have that soft skin feeling all the time if you use it daily. Another item they sell is their wooden brush which is wonderful for exfoliating those dead skin cells after soaking. This product looks like it’s only available if you buy a basket though. I then apply the “Goats Milk” lotion after my bath and voila! There are tons of ways you can use BendSoap around your home all year long. Let me share with you all the amazing benefits and uses of BendSoap’s product line. Here are 30 ways I use it in my natural home. This was the biggest reason I started using them. Because of my “NEW” Natural Home and lifestyle, this was a no-brainer so I doubt I need to explain the great benefits of using something non-toxic. These are made by hand and contain absolutely no harsh detergents or any harmful chemicals. 2. Cleans gently but cleans down DEEP to detox. Pure goat milk contains “lactic acid” which is known to play a key role in the detoxifying process of removing impurities. Another fun fact about goat’s milk is that it contains alpha hydroxy acids that break down the bonds between dead cells and remove the dull surface layer of the skin to give the skin a super clean appearance. 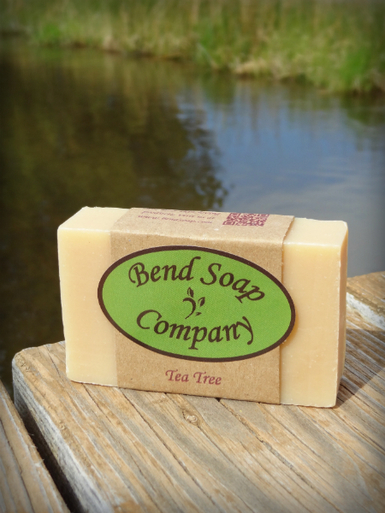 BendSoap is rich in natural ingredients, which work gently without causing excessive dryness. 3. Actually gives you “REAL” healthy skin. Did you know that goat’s milk has an abundance of vitamins, such as A, B1, B6, B12, C, D, E, etc., and minerals, such as zinc, copper, iron, and selenium? In addition to vitamins, it also contains fatty acids, amino acids, citric acid, antioxidants and enzymes. Everything I’ve mentioned is needed not just for the inside of our body, but are also very important for our skin health as well. After doing my research I’ve come to the conclusion that the regular use of goat milk soap, more specifically BendSoap’s unique formula with more added goat milk, can feed the skin and nourish it from within. 4. It kept my skin soft and moisturized. Goats Milk is a natural moisturizer and easily absorbed through the skin, but the amazing part is that it creates a moisture barrier that kept my skin soft and smooth for a longer period of time than other “natural” soaps I was previously using. I wanted to find out why and to my surprise learned that goat milk is loaded with good proteins, fatty acids and glycerin. Yes, glycerin! Glycerin has super-hydrating and moisturizing properties. The soap itself has a creamy-like texture that makes you feel pampered with a luxurious softness that penetrates the upper layer of your skin and reaches cracks that can sometimes form with dryer skin types. 5. It can prevent premature aging!! I’m not going to reveal my age here, but I am not getting any younger and if there is a natural product that can help me look younger, I’m all for it! I found out that goat milk is super-rich in antioxidants like Vitamin A, Vitamin C and Vitamin E. These vitamins can actually help our body fight against oxidative damage caused by free radicals. The goat milk aspect of the soap also removes layers of dead cells from the surface of our skin which reveals new healthier cell layers underneath. Both the presence of vitamins and removal of dead skin cells prevent aging or premature signs of aging. 7. Helps irritated and inflamed skin. Ongoing/daily-use of BendSoap’s goat milk soap can help to relieve inflammation of the skin. Goat’s milk has some pretty strong anti-inflammatory properties due to the presence of fat molecules in it. 8. Heals skin infections faster. Goat’s milk offers effective anti-microbial properties. BendSoap’s bars can easily be used to assist the body’s natural healing process by clearing up skin infections, such as rosacea, eczema, psoriasis, and contact dermatitis faster. 9. It can help maintain the pH balance of your skin. 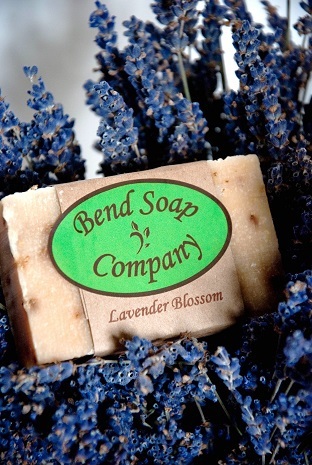 BendSoap’s proprietary goat milk soap can help to balance the pH of your body perfectly. Goat’s milk contains a certain fatty acid named caprylic acid, which lowers the pH balance of the soap and makes it almost similar to that of the human body. 10 Protects from skin cancer. Now let me start with a disclaimer on this one. I am not saying that BendSoap or Goat Milk Soap can cure or treat skin cancer. In my research, I found that selenium was found and proven by scientists to protect the skin from damaging ultraviolet rays of sunlight and goat’s milk contains a TON of selenium, so you be the judge. 11. Help sewing pins insert easier. Insert your sewing pins into a bar of this amazing goat milk soap and your pins will penetrate your fabric with ease. 12. Marking hemlines when sewing. Use Goat Milk soap instead of chalks or pens that may have harmful chemicals in them. Using the soap to mark is a non-toxic and easy to wash out alternative. 13. Keep my glasses from fogging over. This is an awesome but useful trick. Simply rub the lenses with the Goat Milk soap (dry). With a wash cloth or clean dry cotton material rub off the soap until the glasses are clear. This will prevent them from fogging up around humidity. 14. Check to see if gas pipes might be leaking. You can find a gas leak in your gas pipes by smearing a little Goat Milk soap mixed with a few teaspoons of water in a small dish. Mix the soap and water and apply the soap/water mixture to seals in pipes. If you see soap bubbles then you potentially have a gas leak that needs to be addressed by your gas company. (A word of caution: always have a professional fix gas related leaks, never try this on your own). 15. Put a little soap under my nails before gardening. Scratch your nails over the Goat Milk soap before you go out to work in the garden or do lawn work to prevent getting dirt under your fingernails. After you are finished just rinse. 16. To keep deer out of your yard or garden. In a study done at the University of Vermont, they found that using Goat Milk soap as a deer deterrent can be very effective. It’s a common first line of defense of gardeners against unwanted deer in their gardens because it’s easy and inexpensive. Goat milk soap can interfere with a deer’s sensitive sense of smell. Since deer feed from ground level to about six feet high (that’s six feet above the snow line in winter), this is the area where your soap should be hanging. In the category of scents, this is one of the easiest controls — hanging bars of smelly (especially the minty kinds) of goat milk soap in the garden, the stronger the scent the better. You can easily cut them in half and hang in burlap or cheesecloth stapled to stakes in the garden in early spring. The repellent factor seems to be the part derived from animal “goat” fatty acids. 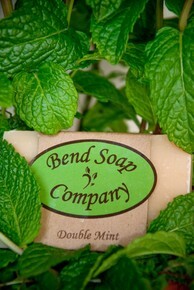 Some pleasant scents that BendSoap offer that also interfere with deer noses include mint oil-based soaps like their Mint Tea, Eucalyptus Spearmint, Mint Scrub, Double Mint, Peppermint, and Citrus Mint, (often combined with pepper and garlic), cloves and cinnamon, or citrus based soaps also have somewhat of an effect but not as much as the mint-based varieties. Rub BendSoap over zippers when some of the teeth get out of their track. Once the zipper is fixed you can easily wash the item of clothing and the soap disappears. 18. Stop squeaky door hinges. Use Goat Milk soap around the home or on autos and RV’s by rubbing it over door hinges. Make sure that you don’t add water or you could cause your hinges to start to rust. Remove hardwood drawers from dressers and chests and rub Goat Milk soap on the tracks of both the drawer itself and the track attached to the dresser/chest to create a smooth sliding drawer. 20. Stop floorboards from squeaking. Rub Goat Milk soap over cracks to create a buffer between wood slats to prevent squeaking. 21. Use as a shaving cream substitute. Regular soap doesn’t work well for shaving, but Goat Milk soap is very gentle and actually creates a barrier between the razor and your skin. The added benefit of this is that your face (for men) and legs (for women) are super soft after using Goat Milk soap. Place a wrapped bar of “scented” or the “essential oil” Goat Milk soap in drawers and clothes will pick up the scent of the bars. *Tip: You can use just one bar for an entire dresser or chest by cutting the bar into many slices. 23. Use it as a natural pesticide for both plant and vegetable gardens. Shave off some of your Goat Milk soap and place it in a bottle and shake it until the soap dissolves. Put the liquid in a garden sprayer and spray “under” the leaves of plants and vegetables to prevent bugs from climbing up onto the leaves of your plants. 24. Protect the bottom of your cast iron pans from soot. If you ever use your cast iron pots or pans over an open flame you can rub a bar of “non-scented” BendSoap over the bottom of the pot/pan before you set it over the open flame. The soap will make it easier to cleanup, as the soap will prevent the soot from accumulating on the bottom. 25. Loosen a tight ring. Rub Goat Milk soap over your finger and the ring will slide off when you wash your hands. 26. Smelly sneakers, boots or shoes. You can place a wrapped bar of Goat Milk soap in your shoes, sneakers or boots and leave it overnight. They will smell fresh by the morning. 27. Make sliding glass doors and windows slide easier. Rub Goat Milk soap on the bottom track of sliding glass doors and windows and watch them open and close with ease. For whatever reason, mice love bar soap and especially Goat Milk soap. Put a little piece on the other side and “SNAP! !” They apparently love it…which is good for us, just not so good for them. 29. Quiets squeaky belts on cars. Apply Goat Milk soap to belts to prevent that squeaking noise that can sometimes happen when it rains or snows outside. 30. Prevent scratches on your wood floors. Prevent furniture scratches by applying Goat Milk soap to the bottom of chairs or couch legs to create a protective barrier. Can your soap do all that? I gave BendSoap’s goat milk soap a try and you should, too! 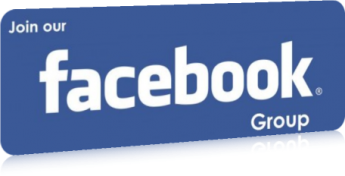 Let us know what you think: Have you ever thought of using natural goat milk soap? Did you notice any visible difference on your skin after using the goat milk soap? Do you have any other uses for Goat Milk soap that we haven’t shared here? Share your experiences with us in the comments section below.